Meditation has become increasingly popular in the last decade. This is partly due to the overwhelming amount of information we receive daily from social media, the news, and other sources of technology. People desire a release from this overstimulation and meditation is the most ancient and reliable way to do this. It is often difficult to decide where to start in meditation, and people may often struggle to motivate themselves to meditate alone or in a group setting, such a yoga class. Selecting the best meditation DVD as a guided meditation is one of the most reliable and accessible ways to maintain a daily meditation practice. What to Consider Before Buying Meditation DVDs? Meditation for Beginners – Gaiam – Best Maritza Meditation DVD Review: For those that are beginners and also have an interest in yoga this is an excellent choice. A short yoga session is done to limber the body before two meditation practices, which is key to avoid fidgeting and physical distractions during the meditation. One of the meditations featured in this DVD is the body scan, which is a wonderful tool to ease tension for those with arthritis, inflammation, or anyone with chronic pain. In addition to the two practices, it also contains an interview with Maritza that contains valuable insight on how to holistically practice mindfulness. Mindfulness Meditations for Anxiety: Seven Practices to Reduce Stress – Ira Israel – Best Meditation DVD for Anxiety Review: Meditation is one of the most powerful ways to combat anxiety, and this method provides clear instruction to practice it at home. The seven practices of Mindfulness Meditations for Anxiety build upon each other so that the viewer becomes more comfortable with meditation as the video progresses. With practice, these tools can be incorporated into daily life so that you may be able to take control of anxiety at unexpected times. Practicing Mindfulness: An Introduction to Meditation – The Great Courses Best Mindfulness DVD Review: This choice is extremely informative as it was completely designed by college professor Mark W. Muesse. It contains 24 lectures and meditations in total. Practicing Mindfulness is an excellent choice for someone who has already been introduced to meditation and would like to expand their practice. Prof. Muesse defines meditation as “a deliberate way of paying attention to what is occurring within oneself as it is happening. It is the process of attentively observing your experience as it unfolds, without judgment or evaluation”. The informative nature of this video is extremely helpful to incorporate mindfulness into daily life. Beginner’s Meditation and Mindful Stretching – Nadia Narain – Best Yoga Meditation DVD for Beginners Review: If you also have an interest in taking up yoga but are concerned about difficult level this is a great place to start. By meditation in conjunction with yoga, the mind-body connection is strengthened, which helps you to control your body’s physical reactions to stress, such as muscle tension, increased heart rate, and jitteriness. Both movement and stillness are important in yoga, and Nadia Narain introduces both in an easy to understand manner. Likewise, breath is the foundation of both practices and this video contains a marvelous segment on mindful breathing exercises. Yoga and meditation combined is a great way to remove stress and leaves the viewer feeling both calm and energized. Chakra Theory and Meditation with Paul Grilley Review: For those with an interest in the chakras this DVD is an absolute must. It contains over four hours of chakra theory in addition to both physical and energetic practices to connect with each chakra. It also includes a meditation section specifically designed to cleanse your chakras. Chakra Theory and Meditation teaches you how to create the separate self as well as the evolution of the self, and if practiced regularly has great transformational power for your life! This DVD has rave reviews from several popular yoga magazines and is favored by many experienced yogis. Meditation for Beginners – Jack Cornfield Review: Another great choice for beginners, this DVD follows the traditional method of teaching meditation. Jack Kornfield is also a bestseller for Meditation books and is a reliable teacher. He has a very calming voice and also provides some light humor throughout the video, which makes him an entertaining and effective teacher. This DVD is an enjoyable and valuable refresher even for those who are no longer beginners in meditations. Mindfulness Meditation: Nine Guided Practices to Awaken Presence and Open Your Heart – Tara Brach – Best Guided Meditation DVD Review: While there is no visual aspect of this selection, it is still the best choice for guided meditation due to its content. Mindfulness Meditation contains two and a half hours of guided meditation through nine separate practices. They vary in length from nine to twenty minutes so you are able to complete one that is suitable for your day. Her voice is relaxing and her instructions are clear which lends itself to ease in visualization and practice. Meditation Moods – Dean and Dudley Evenson Review: This DVD focuses on soothing music and imagery as a means of meditation. It contains flute and harp music as well as imagery of beautiful gardens, forests, and beaches. Meditation Moods DVD also contains two bonus CDs: nature sounds and positive affirmations. This DVD helps the viewer customize his experience to suit his own needs and preferences. One to avoid: Mindfulness Meditation and Stress Reduction for Beginners: The Garden of NOW DVD – Derek G. Turesky Review: Unfortunately, this DVD did not meet up to expectations. This video was disliked for lack of originality and not living up to it’s branding as an object to achieve mindfulness meditation. There are other more suitable choices available that fulfill the needs of a mindfulness DVD. Both consistency and variety should be equally balanced in your meditation practice. It is important to find a DVD that you can keep coming back to, and to have other options as well so that you do not tire from the same practice. A DVD with multiple practices can be an excellent tool so that you can rotate different practices. 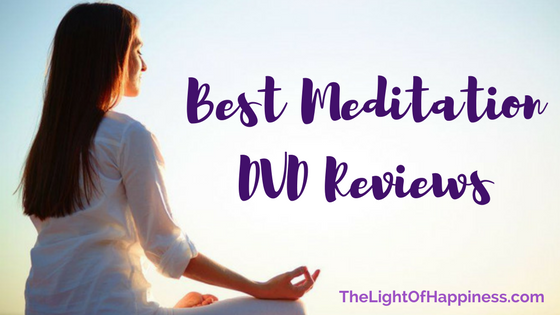 The hardest part about meditating is simply putting the DVD in! It is important to completely set aside all other tasks during the time you meditate, and you certainly should not be listening to meditations while driving! Once you have committed to this time for yourself, you are already on the path the success and self-improvement. Your most tiresome days are actually the days you should spend more time, not less, meditating. Even if you are short on time, a truncated version of meditation is still better than no meditation at all! Try to find several practices with varying lengths so that you can cater to the time commitment you are able to give that day. Amount of Guidance: Does the DVD contain instructions on how you should be meditating? For beginners guidance during a meditation is extremely important because he or she still needs to cultivate the ability to focus on certain aspects, such as the breath and specific areas in the body. For those who have practiced longer, less guidance is desirable in favor of ambient noise or silence. Likewise, those that are comfortable with basic meditations can try a visualization meditation, which greatly strengthens the sensory memory. In these meditations, the narrator provides guidance through describing what to visualize. Voice of Narrator: The voice of the narrator can greatly affect how relaxing the meditation will be. Some people prefer a male voice over female voice and vice versa. Some people enjoy a breathy voice quality while others do not. You can easily discover your preference by trying out several DVDs or listening to similar videos on YouTube. Supplemental Materials: Some DVDs will include bonus segments, such as gentle yoga and stretching that pairs with the meditation practice. Others contain written guides with the DVD that help the viewer to understand meditation principles without extraneous explanation from the instructor. DVDs with multiple meditation practices are generally more appealing because several shorter practices are more accessible for beginners and allows for a sense of variety. Meditation videos are extremely popular on YouTube. It is very easy to find videos for the time length you are willing to commit as well as the voice type you prefer. 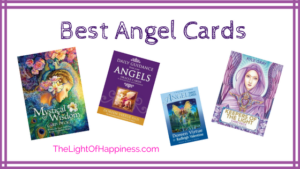 You are also able to easily find meditations that serve a specific purpose, such as meditation for the loss of a loved one or meditation to promote abundance. You can even subscribe to a meditation channel to receive new meditations on a regular basis! Training Your Mind to Let go of Thoughts that Do not Serve You: Suzanne Robichaud presents this video in a simple and pleasant manner, which makes it accessible for new meditators. The video also incorporates elements of hypnotherapy and allows the listener to consciously and unconsciously alter their thought pattern to make it clearer and more positive. At just under a half hour, this is a good option for those that have a little less time. Release Limiting Beliefs and Subconscious Negativity: This is a guided imagery meditation, which can be a fun and fresh way to challenge your meditation brain. The imagery brings you to a safe and beautiful place where you can experience self discover, and the imagery serves as a way to release negative and limiting thoughts. The 50-minuted guided meditation starts with a body scan, which allows the mind to fully concentrate on the imagery. The guiding voice is that of a British woman and is very relaxing! Guided Sleep Talk Down: The Honest Guys provide some of the best sleep-inducing meditations on YouTube. This talk down is an hour in length and provides both gentle rain sounds and male British voice. This video also focuses on breathing exercises, body scans, and mental imagery. The environment the meditation creates feels very safe, soothing, and relaxing. You can opt to continue your day after this meditation in a very relaxed state, although it is very helpful to induce sleep. While there are many ways to incorporate meditation into daily life, such as finding the best mediation music that suits your style, purchasing a meditation DVD is one of the most direct and constant ways to achieve it. With an informed decision you can buy one that you can truly connect with and enjoy for an extended period of time. 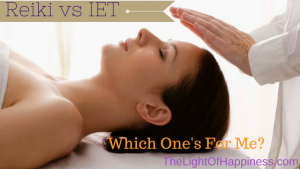 Enjoy this healing and fulfilling lifelong practice!